Many people visit Toronto and automatically flock to popular tourist destinations like the Royal Ontario Museum and the Art Gallery of Ontario, or make their priorities a ride to the top of the CN tower, and a visit the Eaton Centre for some shopping. These visitors usually end their sightseeing there, and without further exploration leave with the impression that Toronto was nothing special. Well I’m here to break the news – if you’ve departed Toronto believing the city is nothing special, you haven’t yet discovered what the city is all about. You failed to actually travel here. Your loss! The following attractions and locations are bound to make you fall in love with Toronto, the top destinations within the city that tourists should be squeezing into their visit for a real taste of what Toronto is all about. If you’ve departed Toronto believing the city is nothing special, you haven’t yet discovered what the city is all about. You failed to actually travel here. Your loss! Located in Toronto’s East and easily accessible by public transportation or by foot from the city centre, the Distillery District is lined with fabulous restaurants, cafes and shops, all housed in heritage buildings along pedestrian-only streets. Cobblestone streets and beautiful historic architecture combines with unique shops and restaurants to make the Distillery District one of the cutest places to spend part of your day. Those visiting over Christmas are in for a treat – this is the location of Toronto’s most popular Christmas Market, running for roughly a month in the lead up to Christmas Day. Corktown Cottage is set in central Toronto and is within a 10-minute walk of Distillery District. It also provides free Wi-Fi and a garden. Elites Suites – One Bedroom Townhouse Condo is situated in Toronto and features free Wi-Fi. This property is set in the heart of the city. Sliders at the Mill Street Brewpub. One of the most unique sites in the city of Toronto, Kensington Market is located close to the downtown core and is lined with unique boutique shops, cafes and markets that you won’t find anywhere else in the city. Several vintage and craft shops line the streets of Kensington Market, and diverse restaurants and stores sell everything from baked goods, spices and cheese, to specialty grocers selling those hard-to-find items too. This is one of the most artsy neighborhoods in the city, and every corner will surprise you with something you’ve never seen before. Located in the heart of Toronto, Toronto Travellers Home is within an easy walk of The Grange and Spadina Avenue. Those staying at the property can also enjoy complimentary Wi-Fi access during their stay. Kensington Market House is situated in Toronto and is within a short walk of nearby landmarks, including the Anshei Minsk. It is conveniently located in the city centre. This comfortable hostel in Toronto offers complimentary wireless internet, as well as a concierge and bicycle rental. It is conveniently located in the city centre. Vogue ranked this area as the second coolest neighborhood in the world, next to Tokyo’s Shimokitazawa. And if a reference from Vogue doesn’t rank as a good enough reason to visit, then I don’t know what will! 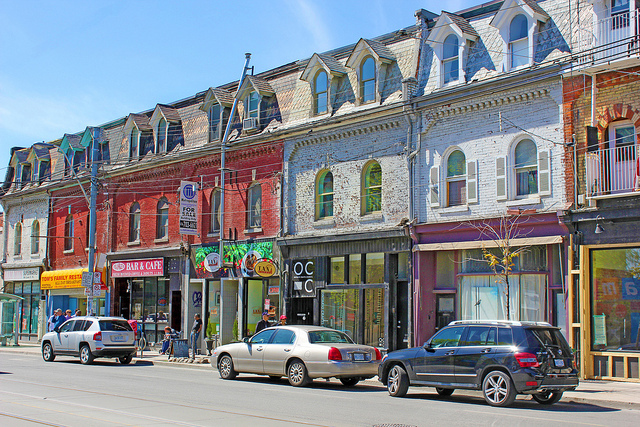 Queen West is a trendy neighborhood lined with cool bars, restaurants, and stores. Known as Toronto’s Fashion District with an extensive assortment of clothing, shoe and fabric stores, Queen West is the perfect spot to channel your inner shopaholic. But even if you’re not looking to shop, the nightlife, bars and patios will be sure to satisfy just about anyone’s needs. A 10-minute walk from Toronto Coach Terminal, the hotel has a accessible location, making it an ideal place to stay while visiting Toronto. It is ideally situated in the city centre. Conveniently situated, Hilton Toronto allows for easy access to Toronto’s best sightseeing areas. It features complimentary wireless internet, a fitness centre and a swimming pool, and is within walking distance of Queen Street West. Featuring a popular location, Hyatt Regency Toronto commands views of Lake Ontario and Toronto, and is a 10-minute walk from from CN Tower. This modern hotel is set in the heart of the city. 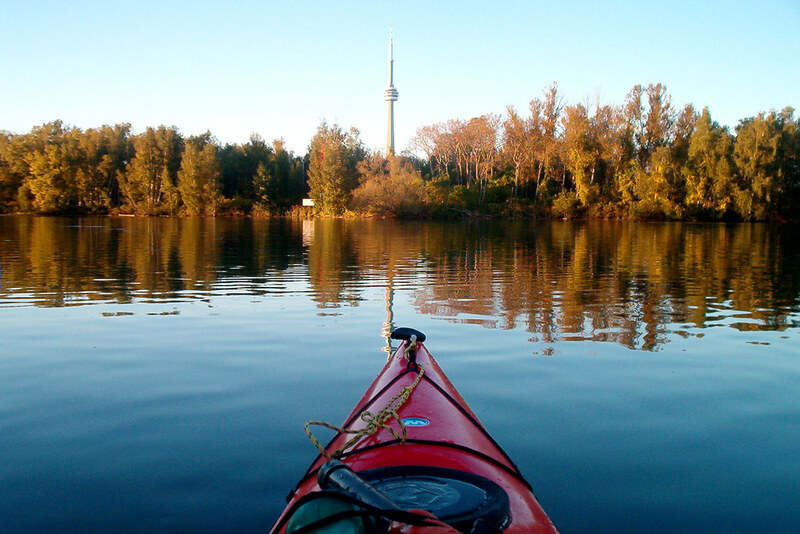 Often forgotten by visitors from out of town though easily one of the best escapes from the city center, Toronto Island has something to offer everyone, from an amusement park for the kids, to great beaches, kayaking, paddle boarding and biking. This ultimate outdoor retreat is also home to one of the best views of the city, so if you’re looking for a photo opp which is unique, rest assured this will wipe the floor of every other tourist snap you’ve seen. It cost only $7 CDN for a return ferry ticket to the island and you can bring your own alcohol and food. Top Tip: You can set off on a cruise and explore Toronto Harbour and the Toronto Islands archipelago! The view of the Toronto skyline from the boat is breathtaking. You can book in here! Strategically located in the middle of the city, this 4-star hotel makes for an excellent base in Toronto. Featuring views of Toronto Islands and Lake Ontario, it also offers a multitude of amenities, including a Jacuzzi, a sauna and outdoor tennis courts. EG Suites – Stunning Condo provides a comfortable setting while in Toronto. This hotel is set in the heart of the city. Diamond Suites Toronto is set in Toronto and is within a short walk of nearby attractions, including Rogers Centre and CN Tower. It is conveniently situated in the city centre. 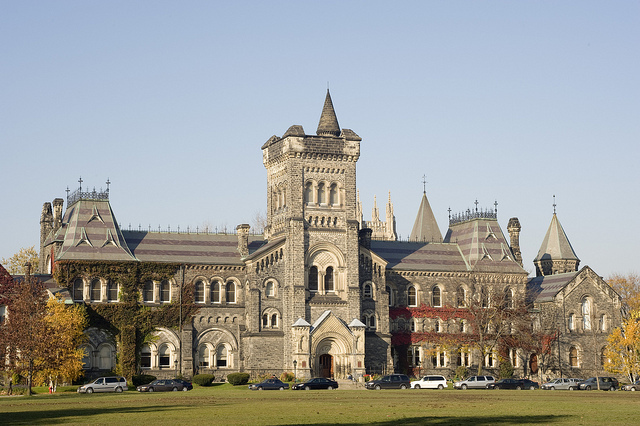 Don’t think touring university grounds when visiting a city like Toronto sounds silly – the University of Toronto St. George (Downtown) campus is one that shouldn’t be missed. This university was established in 1827, and due to its old age and the gorgeous architectural marvels surrounded by green space and interlocking courtyards, it is worth a visit to walk around the grounds. Another fantastic choice of location for those looking for unique photo opportunities that not too many Toronto tourists take. Strategically located in the middle of the city, this 3-star hotel makes for an excellent base in Toronto. It has complimentary wireless internet, a bar and is a stone’s throw from the Bata Shoe Museum. InterContinental Hotel Yorkville Toronto offers contemporary accommodation in Toronto and is within a 20-minute walk of Dupont Station. It features a golf course, a beauty centre, a sauna and an indoor pool. Centrally situated, University of Toronto Wilson Hall Residence allows for easy access to Toronto’s main sightseeing areas. It also offers complimentary Wi-Fi. Originally a home to a financier, Casa Loma is now converted into a Toronto museum and landmark. 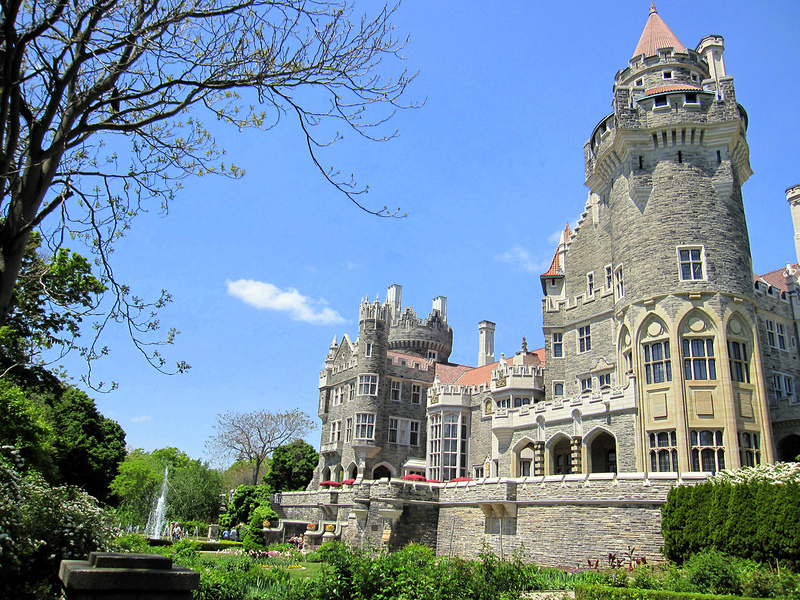 It was built in 1914 and now is a gorgeous place to pay a visit to when in Toronto. Casa Loma is less than an hour walk, or short subway ride to get too. This landmark is a site to see, even if you decide not go inside and explore the over 90 rooms in this castle, but if you do, you’ll get a great view of the city from just about every set of windows. Entry to Casa Loma is included in the Toronto CityPass which we highly recommend purchasing for your time in Toronto. This is a 5-in-1 pass which gives you access to the best attractions in the city and is valid for 9 days, giving you plenty of time to visit each attraction at your leisure. As well as offering great value, the pass also saves time by including fast-track tickets for priority entry. Toronto is ranked as one of the most multicultural cities in the world with over half of its population born outside of Canada! Due to the diversity of the city, cultural neighborhoods are dotted all throughout, making great shops, markets and restaurants that are unique to each culture easy to find, and making Toronto neighborhoods fairly fabulous to explore. One minute you’re in the downtown core, and in an artsy neighborhood or wandering through Chinatown the next. There is a little bit of everything in Toronto, and to visit without reserving some time to explore these culturally rich neighborhoods would be a shame. Be sure to make time for a visit to Chinatown, Little India, Greektown, and Little Italy while there. For tickets to attractions, monuments, museums and a Toronto CityPass, find the best deals on things to do in Toronto on Ceetiz – click here to view all discounts now. If you’d like to search for Toronto hotels at the lowest prices, enter your dates below and click search. Booking.com will find the best hotel deals, and you can book your stay directly with them. Lauren Marinigh was born in a small town north of Toronto, Canada, called Orillia. Despite the fact that she has small town blood running through her veins, her parents put the travel bug in her at a young age. Working a full-time job in social media marketing in the financial district of Toronto, Lauren takes full advantage of her limited vacation days whenever she can. She wants to inspire others to realize that it’s possible to see the world while still maintaining and building a career. 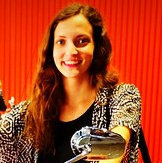 Follow Lauren via her blog, Twirl the Globe, or via Facebook, Twitter, and Instagram. Photo Credits: Cover photo and Pinterest designs by paul bica. In order of appearance: James Westby, Ryan, Jacob Allen-Jordan, Don Gunn, John Vetterli, Lauren Marinigh, The City of Toronto, InSapphoWeTrust. Too cool! I feel like I don’t see a lot of stuff about Toronto so this was such a great read! I did not even know there was an island with a ferry! It looks so pretty. And your photos make it look so enticing! Hi Amanda! I know, Toronto is for sure an underrated city. Let me know if you ever decide to make a trip here! I visited Toronto ten years ago, and this article makes me want to go back. There’s so much on here I didn’t do! I had no idea Toronto was so culturally diverse. Thanks for all the great info! Jen, you’ll for sure need to make another visit here! What did you do while you were here? Thanks for this great information, Megan. I’m planning to go there in fall to visit my cousins. The last time I was in Toronto was 15 years ago ,but was there only for a week-end. The only thing I remember is the the Kensington Market. Glad you’re coming back :) Let me know if you need any more recommendations! Awesome article. I haven’t heard of most of the described sites…I guess I could just spend half a day in Kensington Market, this sounds like something right up my alley. I never get sick of Kensington Market! It’s so awesome and I always discover something new every time I go! I want to visit every one of the places you mentioned! Toronto Island looks like it would be perfect for my kids and the price is reasonable too. I have to admit I’m not much of a city person, I rather be hiking trails and be surrounded by nature than walking around big cities, but I do believe that each city has its own charm. Toronto sounds fascinating because of its rich multicultural diversity. T.O!! Our home sweet home! Nice to hear good things. These places are definitely lowe on the tourist list. The distillery district is really neat, especially near christmas when the christmas maket is on. These are fantastic stopts that evey Torontonian grew up living in or visiting. Another great spot is The St. Lawrence market. Thanks for bringing us back home Meg! I went to Toronto few years ago for a holiday weekend and had the worst time! Went with the wrong person, did all the tourist stuff and waited for over 2 hours for the CN Tower. Next time, I’ll do things different! I’ve been to Toronto twice and still haven’t made it to Kensington Market. It looks pretty cool though, definitely someplace to check out next time I’m there. That’s to bad Alouise. You’ll definitely have to add it your list! Great photos! The food at Kensington Market looks amazing! Wow, I wish I had your list when I visited Toronto a few years ago! Looks like I have plenty of reasons to return to this amazing city. Everything you highlighted would make a perfect trip. I’d love to go in December to check out the Christmas Market in the Distillery District. I’m so sorry you didn’t have some great recommendations. The Christmas Market is sooo cute! One of my favourite things to do in the winter (despite how cold it is). Let me know if you ever come back. wow i had never head of Casa Loma and I’m from Canada! i guess being 3000 miles from Toronto we don’t here much about it there! Great list! These are places that, as a Torontonian, are personal favorites: Kensington Market, etc. Re the islands, I especially like wandering the wooded lanes of Ward’s Island unique cottage community. There’s a very good restaurant on Ward’s island called the Rectory Cafe. Take the ferry to Centre Island if you’ve got kids in tow. Glad you enjoyed it Lesley! Thanks for the tip re Ward’s island – will hopefully be able to take you up on that suggestion when we travel back through Canada soon! Thankyou! Glad you enjoyed the post – hope you have the chance to visit Kensington Market soon! Great places and looks so beautiful. Whole photographs at Toronto are awesome. Great article. Love the vibe of the distillery district. Funny I just wrote an article on the Top Attractions in Toronto. I think I’m going to have to add the distillery district to it. Have you been to the Scarborough Bluffs? I have that in my must see Toronto attractions. You can check out my blog post on my website. Thanks Dawn! Glad you enjoyed the post :) I haven’t been to Scarborough Bluffs, will have to check out your post! Awesome to hear from a Toronto local, thanks for sharing your seasonal favs Kasia! Interesting list of places in Toronto. Some of them I don’t know before. Thanks for sharing this list. Thanks Sunny – glad you enjoyed the post! I really love this post because I am from Toronto! Distillery district and Kensington are my favourite neighbourhoods to explore in the city – especially when it’s Xmas time! The Christmas market at Distillery is absolutely stunning. Fabulous Alli! I haven’t traveled during Christmas, but can imagine the atmosphere would be incredible. Always fab to hear from a local, thanks for your comment! Some places you quoted in the post have not yet met. This city of Toronto makes me enchanted. I have a relative in the Toronto area and one of the things I like most when visiting the is a lot of entertainment options that I find to have fun and pass the time. I like the people in this town… they’re friendly.